Opportunities for reflection and spiritual growth are fostered by our yearly Eucharistic Liturgies for the Opening of School, Advent, Easter and Graduation. Peer Ministers work together with Campus Ministry to plan the liturgies. Students may also take an active part in the liturgy : as choir members, lectors and preachers of the Word and by studying and preparing to become an Extraordinary Minister of the Eucharist. Early morning Holy Mass is also available once a week in our school chapel. Students who are 18 years old are given an opportunity to become Extraordinary Ministers of the Eucharistic. Students study about the Eucharist and the role they would play as a Eucharistic Minister, learning how to show reverence for the Most Holy Eucharist by their demeanor, their attire and the manner in which they handle the Body and Blood of our Lord. 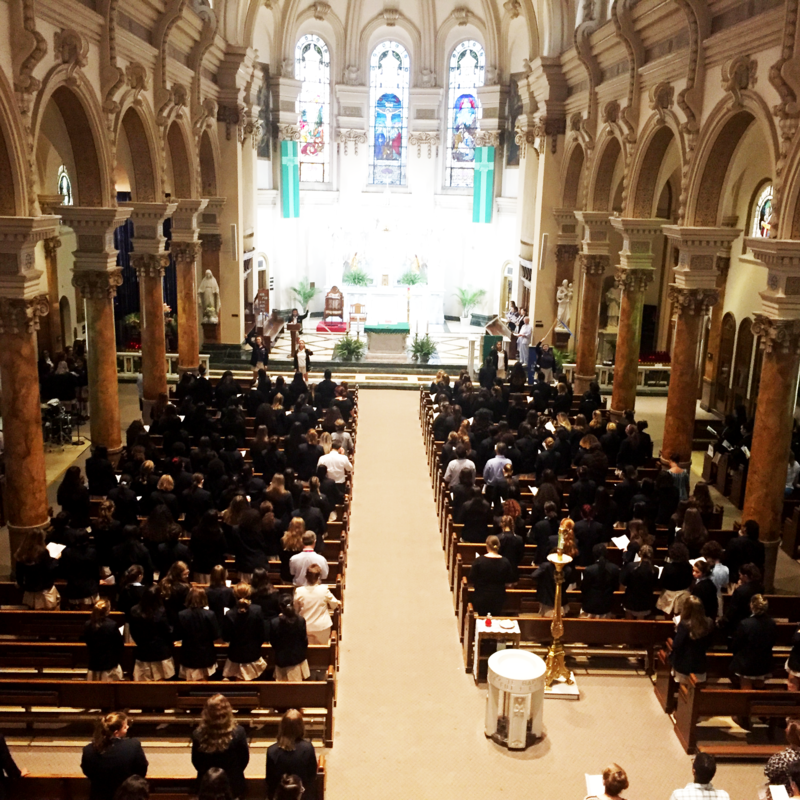 After two semesters of study and with the approval of the Bishop; students are commissioned at a school liturgy which is performed during Holy Mass with the Rite of Commissioning Special Ministers of the Eucharist. During our school liturgies our Eucharistic Ministers are available to assist the priest in the distribution of Holy Eucharist.